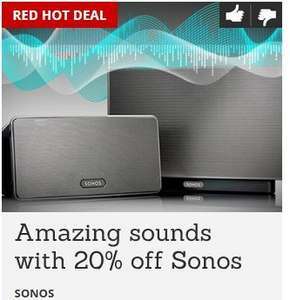 Great deal if you are a Sonos fan and have access to Virgin Tribe membership. You either need to be working for Virgin or know someone who does to get the discount code. I just ordered a Play 5 at almost the price of a Play 3. Is this a staff card only? Is it me or is the website slow or down? Can someone not just post the code assuming it is a generic one? No code, you need to work for them. Or know someone who does who can log into the private portal. Op states "get the discount code". Can this be amended if not correct then. Op states "get the discount code". Can this be amended if not correct … Op states "get the discount code". Can this be amended if not correct then.